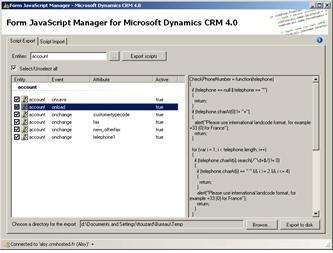 There are lots of useful Dynamics CRM tools out there, but I haven’t found any central list to list them all. 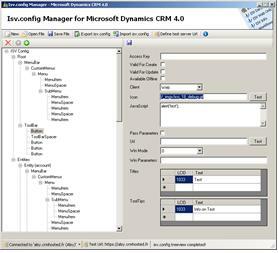 So, here it is – a list of free tools that come handy when developing or just using Microsoft Dynamics CRM 4.0. This is a must have if you use or develop add-ins. Without this tool registration is almost impossible. It comes with source code which can be super useful if you are creating a setup for your add-in which also takes case of registering. There is also some sample code available. This is little know tool that has some interesting features that are useful when preparing for CRM presentations and also for development. Features include: Generate Data, Change the Dates and/or Times for Data, Create Dependent Picklists, Generate E-Mails, Set Icons for Entities, Change the CRM Navigation Pane, Replace Strings in CRM. 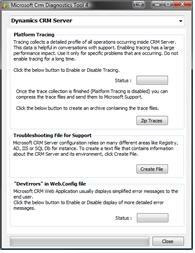 This tool makes starting tracing and turning on DevError for CRM really easy. You don’t need to manually edit web.config files, do it by clicking a button. This utility will do side-by-side comparison between two cusomization.xml files. Useful for documenting changes, spotting bugs and much more. Same thing can be done using WinMerge or similar tool, but Customization Comparison Utility “understands” the xml and groups different kinds of customizations. 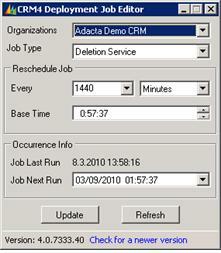 This utility will assist you in editing organization maintenance jobs in CRM 4.0. 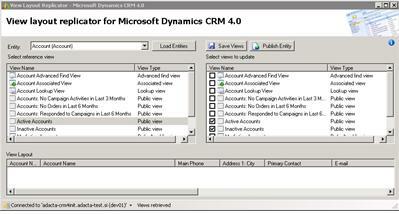 There are two types of these jobs in CRM 4.0; deletion service and re-indexing service. Out of the box you cannot modify the schedule or set the next run time, but using this utility you can re-configure the jobs. For tips hover over the “Base Time” input box and the “Job Next Run” input box to reveal a tooltip explanation. This utility must be run a CRM server. 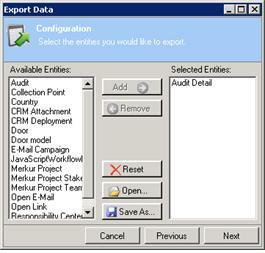 Lets you easily export and import data from custom entities. Helps you configure Internet Facing Deployment stuff. Be sure to read the manual, there is a gotcha – you should copy this tool to CRM folder and run it from there! 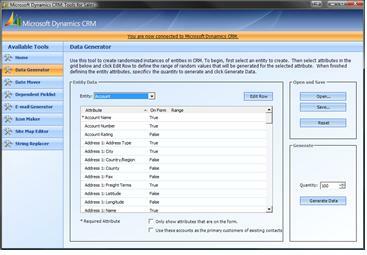 As one of the most important Dynamics CRM resources on the web Stunnware offers many commercial tools. 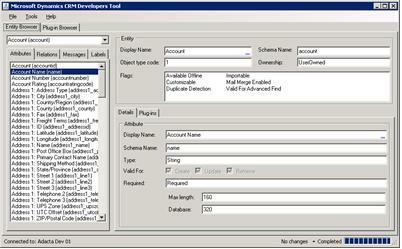 Stunnware tools are a compilation of different tools that plug into common UI. Some of the modules are free, most are not. The Community Edition: It’s free and contains the Metadata Viewer, FetchXml Wizard and Excel Export. The Professional Edition: A subscription-based version with access to all tools of the Community Edition plus the Code Generator for C# and VB.NET, the CRM Help File Generator, additional features of the FetchXml wizard and the Customization Comparer. 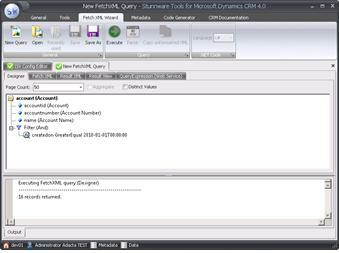 Simple but very useful tool that lets you filter and resolve users in Dynamics CRM trace files. Patrick has a nice collection of tools, I didn’t include all of them in this list, so be sure to check his site. This tool is an entity browser which allows you to browser all the entities, their attributes and available SDK messages. Also duple as a plugin registration tool. Probably easiest (but not easy!) 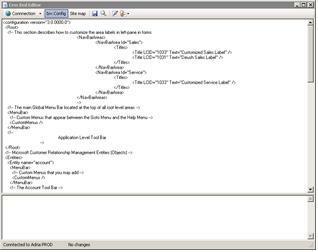 way to edit sitemap and ISV.config files. Automatically downloads, checks and save changes. If you’re developing add-ins and struggling with messages and steps, this tool will let you see what is going on. 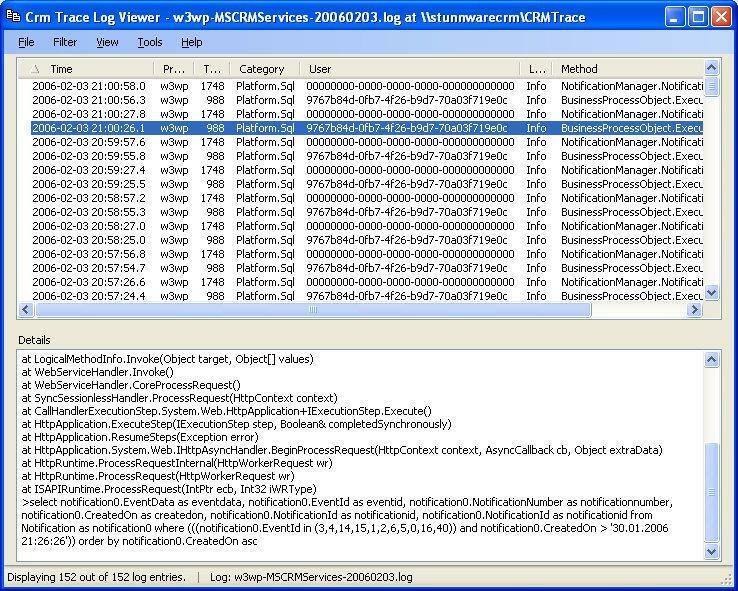 It registers all possible events that you specify with filters and shows details about triggered events..
Tanguy has more tools than listed here. Check out his CRM blog or his tools only site. This tool lets you copy one view definition to other views of the same entity. Great time saver and really useful tool for any CRM developer. Easy ISV.config manger that let’s you edit content in a tree, not by using XML file. 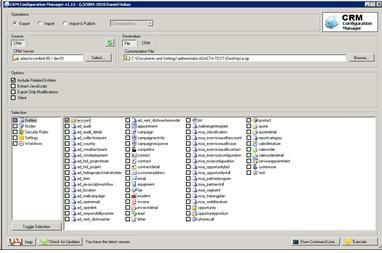 Similar tools is also available to owners of book CRM as a Rapid Development Platform. 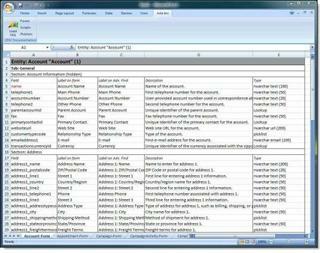 Generates Excel file with all the details about your CRM organization. Great tools for documenting customizations. 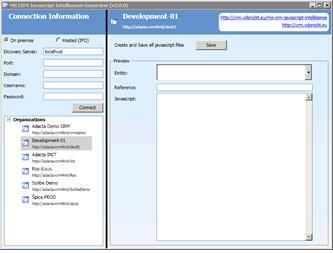 It lists Forms, Picklist values and Scripts for entities. Very powerful tool. Another take on making import/export process easier with lots of bells and whistles. Also has command line interface which you can use in build scripts and other automatic processes. Simple Import/Export for CRM Data. 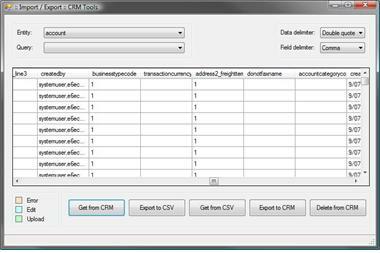 Since Rollup 9 this tool is not needed as exported data contains ID values and CRM lets you “enrich” data when importing. 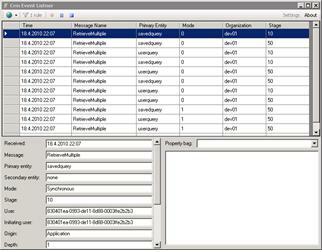 Could you please send CRM2013 Stunware,Visual Ribbon Editor and Plugin Registration Tools to work in CRM2013? Another amazing tool that build plugins with no code. 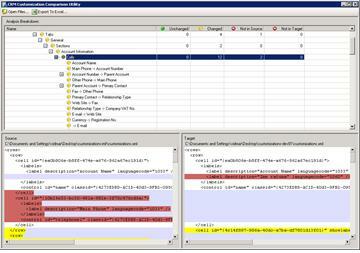 Any supportive way to change re-indexing job schedule, other than job editor tool from codeplex..